Episode 125: Are You Speaking Your Customer’s Language? [Monday Motivation] Zeroing In: How to Get Focused on What Matters Most to You - Path to Profit Academy on [Monday Motivation] What’s Really Holding You Back from Happiness? Minette Riordan, Ph.D. on [Monday Motivation] What’s Really Holding You Back from Happiness? Kora Sadler on [Monday Motivation] What’s Really Holding You Back from Happiness? [Monday Motivation] Do you remember this song by Patty Smyth? - Path to Profit Academy on [Monday Motivation] Are you stronger than yesterday? Who is Minette Riordan, Ph.D.? Are you tired of constantly being stressed out about money? Are you getting pressure from family or friends to get your business going or to give it up? Do you feel like you have tried everything and nothing has worked? Wouldn’t it be great if you knew exactly what to do every single day in order to make money in your business? I am Dr. Minette Riordan and I help women entrepreneurs like you eliminate the fear, doubt and lack of clarity that is stopping you from creating the freedom, flexibility and financial independence that you crave. Believe me, I have been exactly where you are. And I have answered yes to all of those questions. I have been overwhelmed, overworked, disconnected from myself and my family, broke, depressed and just plain mad that I couldn’t figure out how to make money. It all starts with creating a vibrant and balanced plan that supports all of the roles you play as a woman business owner: entrepreneur, visionary, leader, mother, wife, lover, daughter, sister and friend. Yes, you can create a thriving, profitable business and still have a personal life, too. I know it can be done, because that’s my life now. 2 years ago, my husband and I made a dramatic change to our lives – we uprooted ourselves and our two kids after 13 years in the Dallas, TX area and relocated to sunny Santa Barbara, CA. I sold my business and started over – new friends, new contacts, and a vague idea of what I wanted to do next. It was a challenge to start over. My identity as the owner of Scissortail Publishing was crystal clear for over a decade, I knew who I was and what I needed to do every single day to grow my business. I had a staff to support me and great mentors and advisors. Suddenly, I didn’t have the words to describe what it is that I do or how I want to serve others. I didn’t have a team to bounce ideas off of and I realized I wasn’t even sure where to start building a completely different type of business. I went from being the owner of a 6-figure multi-media publishing company to being a coach, but what kind of coach? Who did I want to coach? I was so vague that I wasn’t attracting any clients..
One day my husband said to me, “I don’t know what to tell people you do…” Yikes, it was time for some clarity and certainty. What I learned in my own journey is that clarity is the foundation stone for business success. Without clarity that is tied to core values and a vision of what we want most, we tend to flop around like fish out of water. Moving our family from Texas to California was hard. I can still remember my kids crying on that last day of school as we prepared to leave the only home they had ever known. I remember standing in my empty house and thinking, it’s not our home anymore… but all the challenges, tears and changes were worth it. My husband and I both work from home now and one of us is here every day when our kids get home from school. Our kids are 15 and 12, being present in their lives is so important right now. I love that they walk into our office every afternoon and share how their day went. That flexibility and availability has always been super important to us, in fact many of our business and lifestyle decisions were made because of our core values around family, commitment and connection. Plus, my husband and I get to spend more time together than we have in the last 18 years of married life. Working full time and raising children is hard work. There were too many times when we realized that between work and kids, we weren’t making enough time to continue to grow as a couple. Now it’s not unusual to find us walking on the beach in the middle of our work day. We lead a much different lifestyle than we did before – a lifestyle that we worked hard to create. Living with this kind of purpose is so exciting and I am loving the new adventure we are on for the next few years until we become empty nesters. Just as we did when our kids were little, we have a plan for what we want these next few years to look like while we still have time with our kids. We also know what we want it to look like when they are gone. Our financial and professional goals are built around what we value the most: freedom and flexibility! Building a coaching practice has been an incredible gift in my life and allowed me to help move our family closer to our goals. I get to help other women all day long to create a lifestyle that is a match for their core values, a lifestyle that supports their family and still allows them to build a profitable business. I work with creative women and couples who are 100% committed to growing their business and are ready to get on the fast-track to success. Since everyone is different, this is not a business plan in a box. When you choose to work with me, we will co-create your perfect business & marketing plan to match your values, your personality and your lifestyle. We will focus on creating a daily plan of action where you are working toward achieving your goals with only 3-6 things on your to-do list each day. If you are ready to stop the stress and overwhelm and to start making money today, apply for a free 30 minute strategy session with me, Dr. Minette Riordan. Just click that big blue button and fill out the application right now. Dr. Minette Riordan successfully built a 6-figure multi-media publishing company targeting families in the Dallas/Ft. Worth Metroplex. For over 10 years she ran Scissortail Publishing, publishers of North Texas Kids magazine, NorthTexasKids.com and producers of the North Texas Kids family expos. She credits her success to learning how to connect with others through networking, referrals, strategic partnerships and an attitude of service to others first. Minette’s secret to sales success is not about winning a numbers game, but playing the people game: cultivating an attitude of curiosity and openness that will quickly help you attract clients and fans. Prior to starting her company, Minette was an educator who earned her Ph.D. from Stanford University in 1995. She has a BA from Texas A&M University and an MA from the University of Texas at Austin. 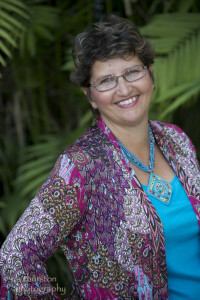 She has taught at the university and high school levels, as well as adult education and personal development workshops. In 2006, Minette became certified as a Coach for Parents through the Academy for Parent Coaching International. Minette is a Certified Life Optimization Coach. She is also a certified Rapid Success facilitator and a certified SoulCollage® Facilitator and Certified Zentangle© Teacher. She is a CRG Certified Trainer for the Personality Indicator and probably a few other certifications she forgot about along the way. Okay, so maybe she likes learning a lot! She hasn’t stopped since she got out of graduate school. As much as she loves teaching others, she loves being a student, constantly growing and evolving into the next phase of her life. She uses all of these different tools to help her clients fulfill their dreams. Dr. Riordan was named the 2009 Small Business Owner of the Year by the Plano Chamber of Commerce and received the 2007 Altrusa Outstanding Women of Today award. In 2011, the Texas Home Child Care Association honored her with the Libby Linebarger award for her commitment to education. Dr. Minette Riordan has been featured in numerous television and radio interviews on ABC, CBS and TimeWarner. She is a popular parenting expert for Fox Radio, appearing as a guest on radio shows nationwide. She also hosted her own radio show on talk radio in the Dallas area in 2009. Denise Michaels interviews Dr. Minette Riordan about From Fizzle to Sizzle. Listen here. Patty Farmer interviews Dr. Riordan about applying the 4 Crucial Tools to your relationships. Listen here. Susan Levin interviews Dr. Riordan about the 4 core temperaments and how to build credibility. Listen here. Minette’s interest in spirituality and personal development were jump started by a service trip to Peru when she was 15 and found herself sitting at the base of the majestic Macchu Picchu. Little did she know where that journey would take her! Minette’s passions include spiritual growth, art, creative writing, poetry, gourmet cooking, collecting unusual earrings and walking on the beach near her home in Santa Barbara, CA. Her passion and joy come from helping others find the information, tools and inspiration they need to succeed. She is living proof that you can have it all: a successful business, healthy marriage and happy kids! She would never say her journey to this point was easy and she learned a great deal about herself along the way but she is lovin’ her life! Minette believes that through commitment and communication, we create powerful connections to self and others. Minette’s passion for connecting people to self and each other is deeply rooted in her belief that it is our connection to spirit, to self and to others that is the foundation of true happiness. Over the years, Minette has found many unique ways of helping people to create both inner connection to their higher self and powerful connections to others around them. She is passionate about helping people remember how to be creative. Through her work as an educator, coach, writer and speaker, she has educated thousands of people, helping them to clarify their vision and bring that vision into fruition in ways that are meaningful, joyful and profitable. Minette is also a wife, mom and lover of all things crafty and creative. She has spent the last several years getting in touch with her inner artist and falling in love with making art. Remembering how to be creative has helped Minette implement dramatic and wonderful changes in her life, especially being able to release her inner critic. Creativity is infused into every aspect of her daily routine from making a happy face breakfast for her daughter, to admiring the gorgeous area in which she lives, to writing an artful blog post or teaching workshops.